Eyewitness accounts of the effect of the Irish famine on migration to Canada in 1847-1848 will be available to read online through a curation by NUI Galway. Theophile Hamel’s painting Le Typhus (1848) of Irish emigrants in a fever shed, which features prominently in the digital archive. 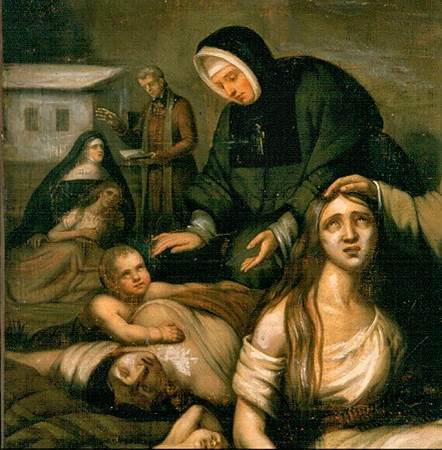 The Grey Nuns, who cared for Irish famine emigrants in Montreal’s fever sheds, kept annals and correspondence which have been translated from the original French and digitised. The Digital Irish Famine Archive, which was launched by the Canadian Ambassador to Ireland, Kevin Vickers, contains three sets of annals from the Grey Nuns: “Ancien Journal (Old Journal), Volume I” and “Le Typhus d’1847, Ancien Journal (The Typhus of 1847, Old Journal), Volume II”, both translated from French to English, and the nuns’ first-hand experiences of the Irish migration in “Récit de l’épidemie” (Tale of the epidemic), which is transcribed in French from the original. The archive also reveals testimonies from Irish orphans were adopted by French-Canadian families, such as Daniel and Catherine Tighe from Roscommon, and Robert Walsh from Kilkenny. The archive is curated by Dr Jason King, a postdoctoral researcher who specialises in interculturalism and migration, in partnership with NUI Galway’s Moore Institute; the University of Limerick; the Irish National Famine Museum; Ireland’s Great Hunger Institute at Quinnipiac University, Connecticut; the Montreal Irish Monument Park Foundation; the Ireland Park Foundation; the iNua Partnership; and the Irish Research Council. 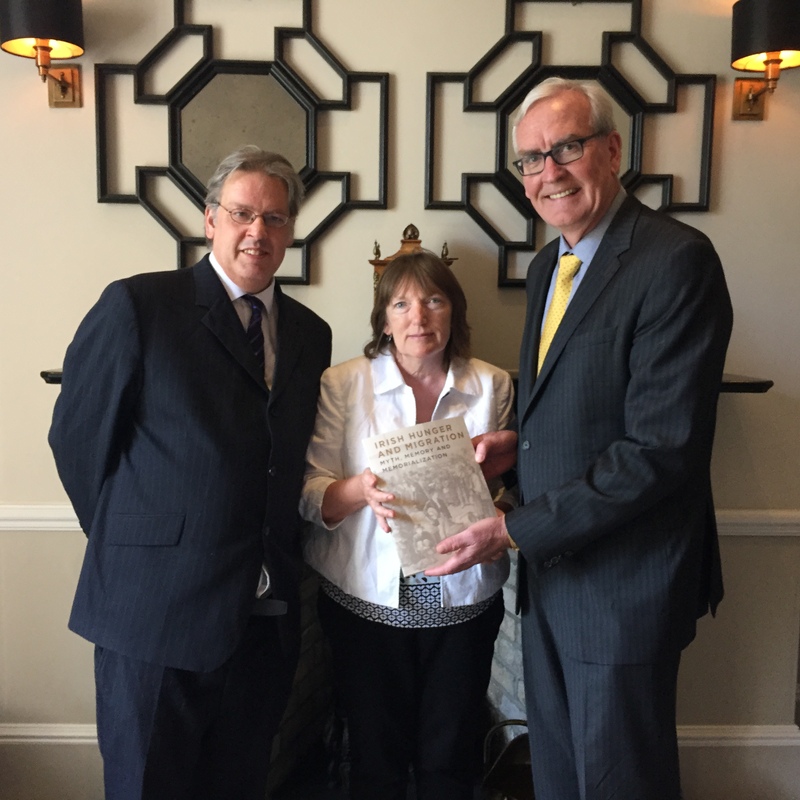 Ambassador Kevin Vickers said: “It gives me great pleasure to launch the Digital Irish Famine Archive. 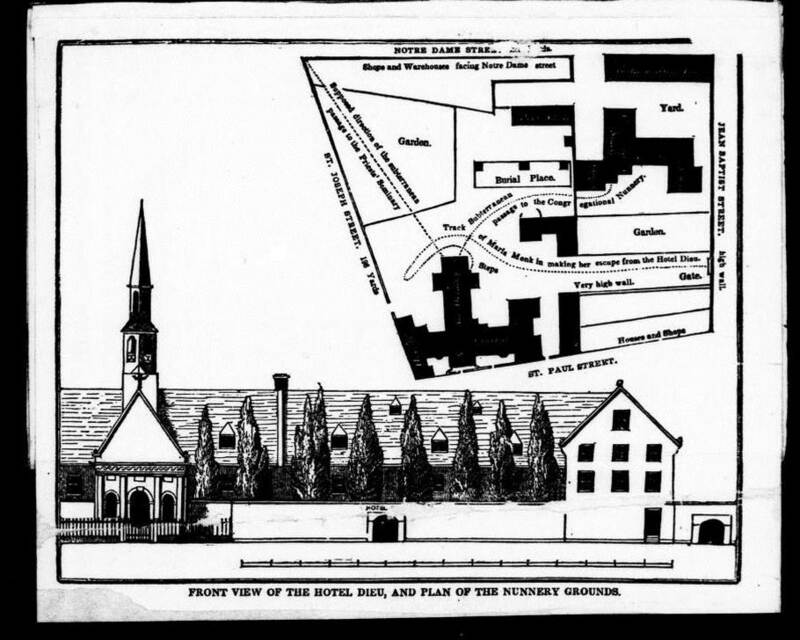 The archive commemorates and pays tribute to the Grey Nuns of Montreal and people of French and English Canada, like Bishop Michael Power in Toronto and Dr John Vondy in Chatham, who gave their lives caring for Irish emigrants during the Famine exodus of 1847. President Michael D. Higgins, who is patron of the archive, said: “During that bleak and terrible period of our history, an estimated 100,000 Irish people fled to Canada. It is impossible to imagine the pain, fear, despair and suffering of these emigrants, many of whom lost beloved family members on their journey. 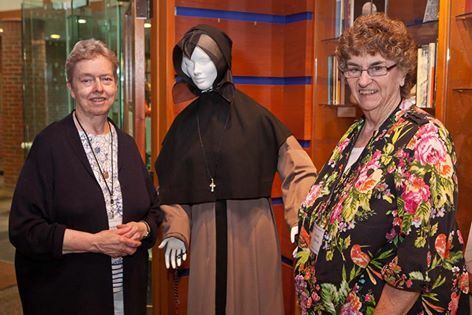 During their visit Dr. Jason King delivered a keynote address entitled “Sacred and Sacrilegious Women’s Testimonials: The Grey Nuns and Maria Monk, Famine Irish Migrants, and the Montreal Fever Sheds in 1847-1848″. 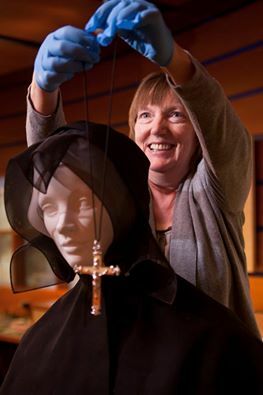 He suggested that the sacred images and religious iconography of French-Canadian and Irish female religious caring for Montreal’s Famine emigrants in the “Saving the Famine Irish” exhibit were directly influenced and shaped by the sinister impressions of Maria Monk a decade earlier, which they sought to repudiate and replace. 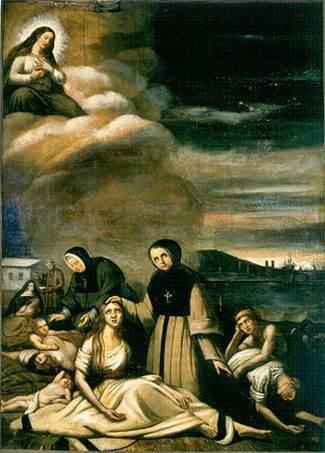 In the decade before the Irish Famine influx into Montreal in 1847, the very same orders of priests and nuns who cared for Irish emigrants and rescued Famine orphans had become figures of infamy following the publication of The Awful Disclosures of Maria Monk, or, the Hidden Secrets of a Nun’s Life in a Convent Exposed (1836). Her purported autobiographical account of her experiences within and escape from the Hôtel Dieu convent was a staple of American nativism and a best-seller, with over three hundred thousand copies purchased by 1860 – second only to Harriet Beecher Stowe’s Uncle Tom’s Cabin in the antebellum United States. 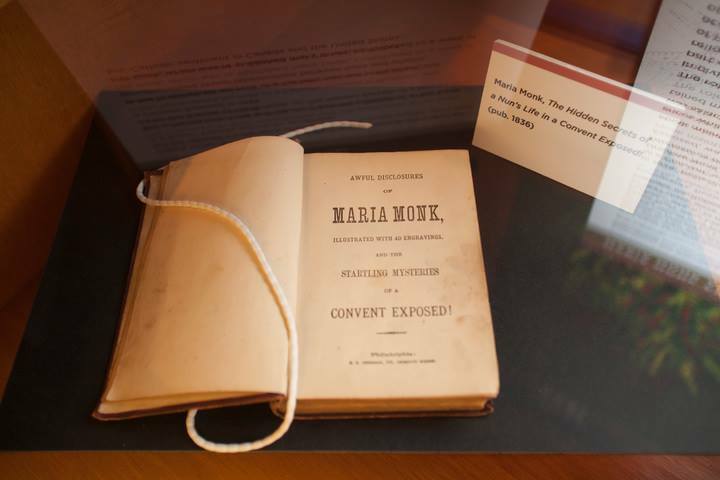 In her Awful Disclosures, Maria Monk claimed to have been incarcerated in Montreal’s Hôtel Dieu convent in which she alleged that acts of sexual abuse and infanticide routinely occurred, although her allegations were comprehensively discredited in the years that followed. It is profoundly ironic that the very same priests and nuns who were vilified by Maria Monk in 1836 for plotting to murder helpless Irish infants became iconic figures and venerated in popular memory a decade later for their salvation of Famine orphans. 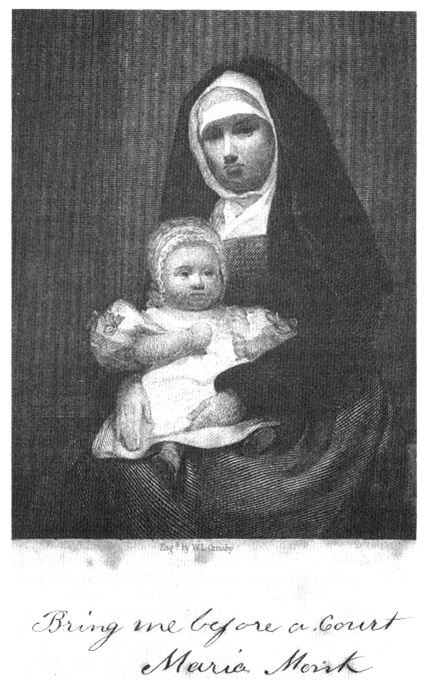 In fact, this tension between sacred and sacrilegious, or iconic and idolatrous images of women and children was embodied in the figures of the uncloistered nun with the Irish infant, which provided a focal point for the popular memory of Maria Monk as well as the fever sheds. Ultimately, it was only by forgetting the sacrilegious figure of Maria Monk that the sacred memory of the clergy and female religious who cared for Irish emigrants in Montreal’s fever sheds could be preserved and transmitted.